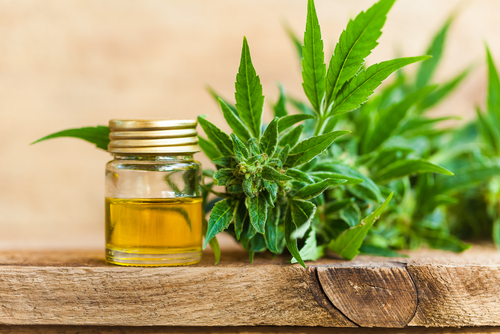 Gone are the days when CBD is only associated with marijuana; today, CBD is becoming famous in the medical realm for excellent reasons. In case you didn’t know, more and more people are now using CBD tinctures in their everyday lives. These are dietary supplements that come in liquid form and usually have very high cannabidiol content. This product can be purchased from different physical stores or websites such as Every Day Optimal. 1. CBD tinctures can relieve pain. Regardless of your daily routine and lifestyle, you’re bound to experience physical pain. You can get hurt while you’re trying to clean every corner of your house or when you’re driving around town for some errands. You can be susceptible to more diseases once you start to age. Before scheduling a check-up with your physician, opt to use a CBD tincture instead. This works because CBD tinctures contain neurotransmitters that can reduce inflammation in the body. The regular use of CBD tinctures can also help treat pain associated with multiple sclerosis and arthritis. 2. CBD tinctures can reduce anxiety and depression. Your mental health plays an important role in your well-being. If you disregard your mental health, it won’t be long before your physical health will be adversely affected as well. 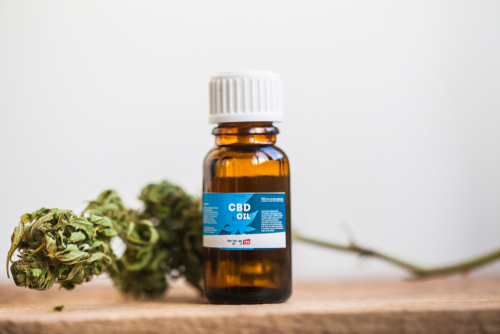 Aside from having a healthy lifestyle and work-life balance, using CBD tinctures can also help reduce anxiety and depression, which are two of the most common mental health disorders today. In a study conducted in 2011, people with social anxiety disorders were given 600 mg of CBD tinctures before a public speaking contest and were able to successfully deliver a speech in front of a huge crowd. These people were able to manage their anxiety better compared to people who didn’t use the product. 3. CBD tinctures can minimize acne. Having acne in different parts of your body can be a reason for you to become insecure. This is especially true if acne starts to grow on your face. And while some acne can be treated by over-the-counter drugs, others are very stubborn, which will require more than just medicines. If you’re experiencing the latter, don’t fret, because CBD tinctures might finally be the answer to your problems. CBD tinctures can help minimize acne because they contain anti-inflammatory properties that can reduce the production of sebum in the body. Sebum is the oily secretion of the glands, which can lead to acne. 4. CBD tinctures can benefit your heart. Your body will start to deteriorate as you age. Activities that seemed effortless for you when you were a teen will become a challenge once you do it during your senior years. You’ll also have limited body range, which can hinder you from completing your daily activities. If you want to keep your heart as healthy as possible, start using CBD tinctures. This product can help lessen blood pressure because of its anxiety and stress-reducing properties. CBD tinctures can also reduce cell death and inflammation caused by heart disease. 5. CBD tinctures can promote healthy weight. There are a lot of people who want to maintain a healthy weight, but only a very few succeed. The temptation of junk food and having an unhealthy lifestyle can be the culprits why several people have failed to attain their health goals. If you have also failed to achieve the same in the past, consider using CBD tinctures. This product can help maintain healthy blood sugar levels, and stimulate genes and proteins to breakdown body fat easier. CBD tinctures also promote mitochondria in the body, the cell that helps burn down calories. Because of the advent of technology and man’s pursuit of optimal health, different products are being sold in the market today. While some of these products have been proven effective by laboratories, others still stir controversy. Regardless of how you look at CBD tinctures, take time to know more about the product first. The more information you have about CBD tinctures, the easier it’ll be for you to determine if this product suits your needs.